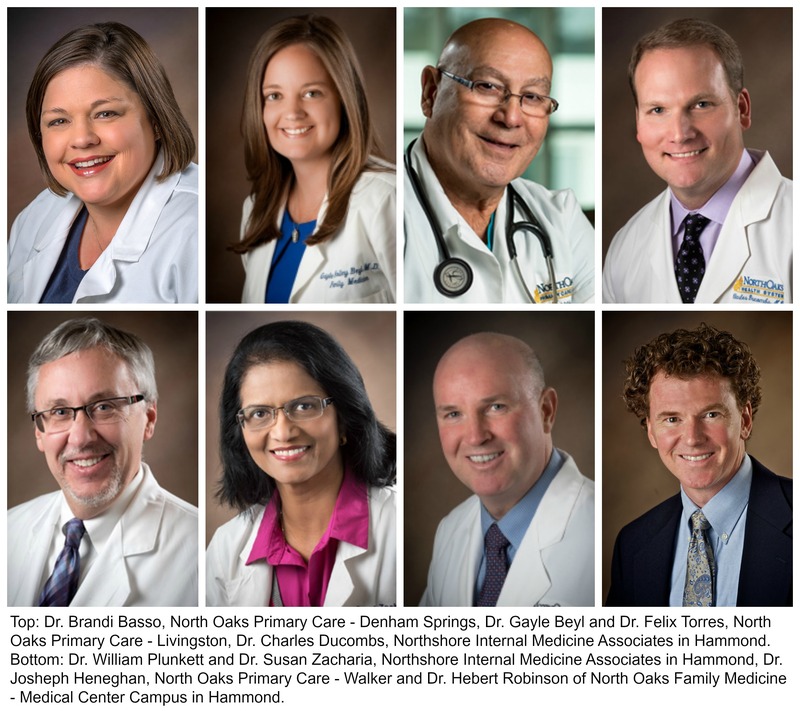 Eight North Oaks Primary Care physicians are among 400 providers statewide honored as 2018-19 Top Performers at the Blue Cross and Blue Shield of Louisiana’s 2018 Quality Blue Statewide Collaborative late last year. The Top Performer award recognizes clinics and physicians participating in the health insurer’s Quality Blue program for providing optimal care that ultimately helps their patients with specific chronic conditions achieve better health results. Targeted health conditions include diabetes, high blood pressure, vascular disease and chronic kidney disease. Beyond better health, some Blue Cross members enjoy lower co-pays for office visits with providers participating in the Quality Blue program. North Oaks Physician Group providers recognized include: Dr. Brandi Basso of North Oaks Primary Care in Denham Springs for high blood pressure care; Drs. Gayle Beyl and Felix Torres of North Oaks Primary Care in Livingston for high blood pressure and diabetes care; Drs. Charles Ducombs, William Plunkett and Susan Zacharia of Northshore Internal Medicine Associates in Hammond for high blood pressure care; Dr. Joseph Heneghan of North Oaks Primary Care in Walker for high blood pressure care; and Dr. Herbert Robinson of North Oaks Family Medicine in Hammond (North Oaks Medical Center location) for high blood pressure care. For more information about North Oaks Primary Care services and providers, contact North Oaks Public Relations at (985) 230-6647 or visit www.northoaks.org/wellvisit.